However, for some reason, in my case GDM did not save this setting and I had to manually select this option on every login. To override this setting, I had to set the variable XSession=gnome-classic in the configuration file /var/lib/AccountsService/users/simon. 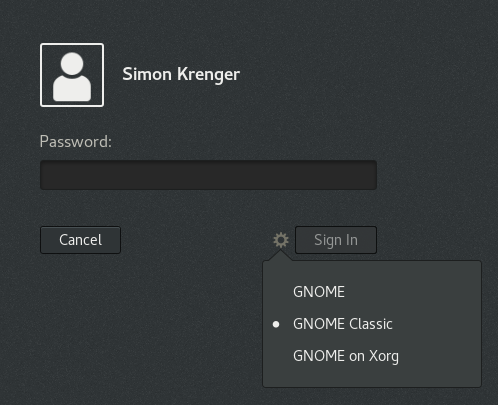 After this change, GNOME Classic was always the default environment.